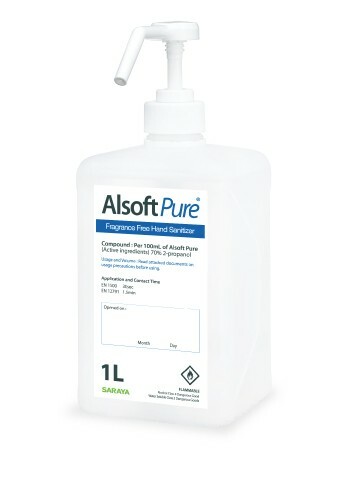 Alsoft Pure - Goodmaid Chemicals Corporation Sdn. Bhd. Alcohol-based, perfume free hand disinfectant. It contains 2-propanol for quick drying disinfection that leaves skin feeling clean and healthy. Dermatologically tested.